Remember when I talked about school papers and projects and art – oh my!? And how I don’t keep the big, the bulky, or the smelly? More on that here and here as well. Well, here’s a classic example. 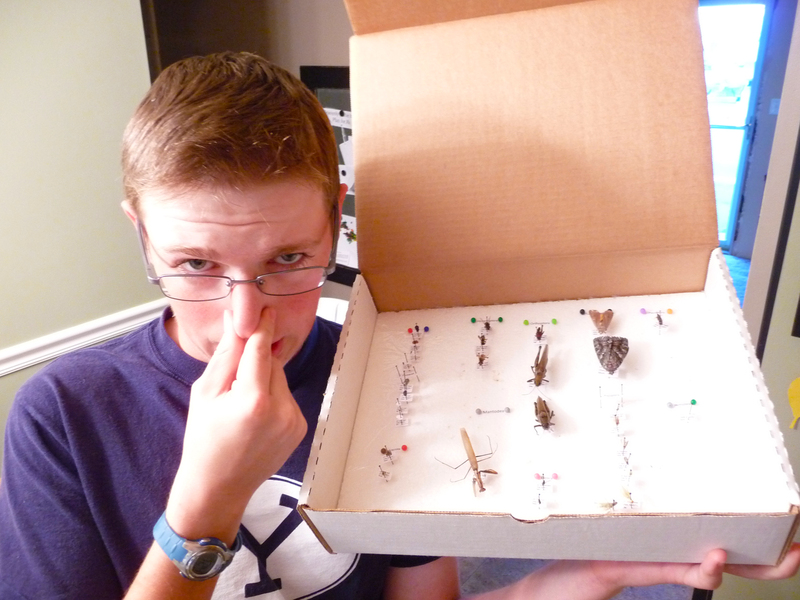 When is the last time your child had to do a bug collection? The last one I did was way back in high school, some 20+ years ago. Holy cow – I’m getting old! But I don’t remember mine smelling. Maybe I’ve just blocked it out of my memory. Or maybe I was so awesome that my bugs just didn’t smell. Or maybe I liked the smell so much that it didn’t bother me. Oh well. It doesn’t really matter, because this one smelled. So gross. And I’m not even squeamish around bugs and insects. But the smell. Bleck! 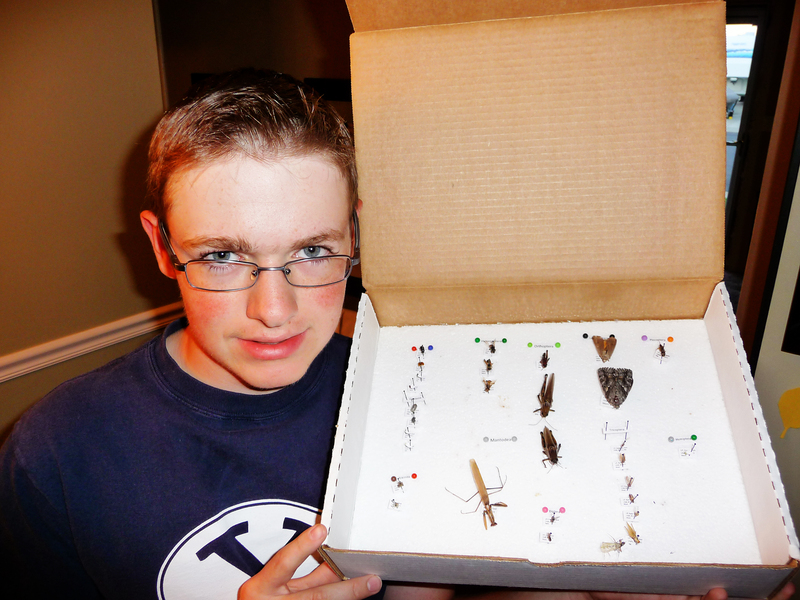 Grant did a great job on his collection. He worked hard. He stayed up late and got up early to finish it on time. I was proud of him for putting forth such an effort. But that doesn’t mean we’re keeping the thing. That’s why I take pictures. And I put them in their school books I make at the end of the year. And they’re OK with it and I’m so OK with it. This is one memory I don’t want to remember by its smell. 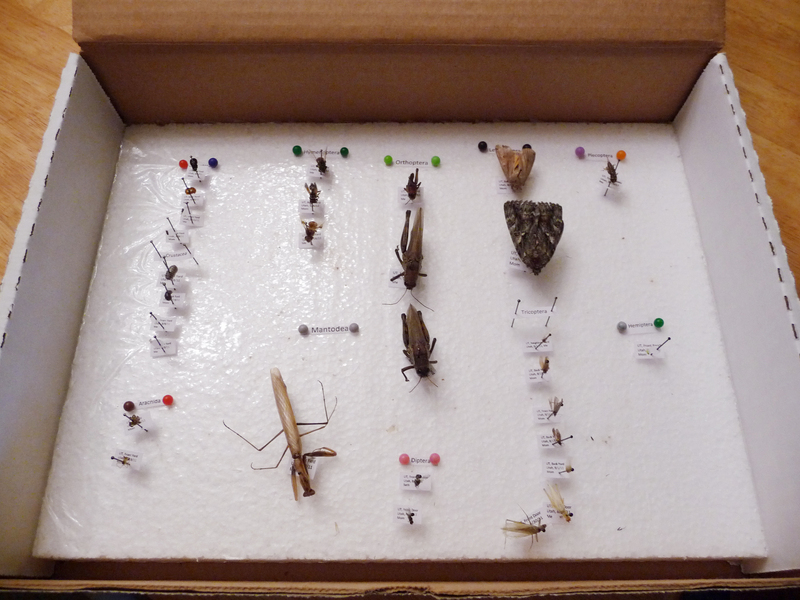 This entry was posted in Back to school, Organizing and tagged bug collection, pictures, school, school books, school projects. Bookmark the permalink.